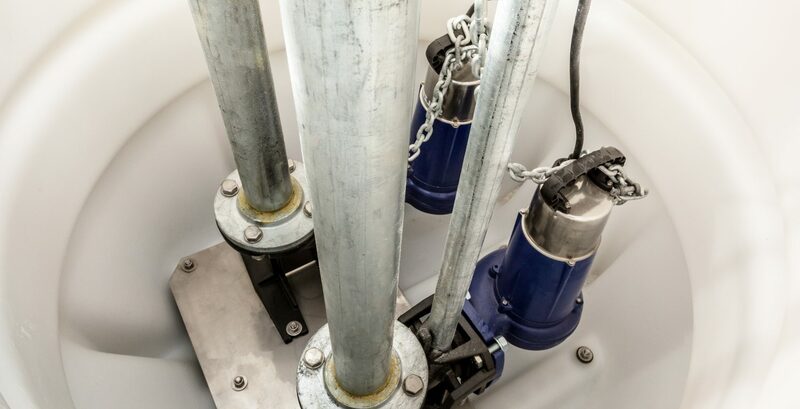 The MagnaPro is a range of fully automatic packaged pumping stations, suitable for pumping ground, surface, storm and foul water to a higher level when gravity drainage is not possible or economical to install. Our new range has been engineered from the ground up incorporating a wide range of unique features, ensuring the product adheres with all current design standards and beyond. Our packaged pumping station range allows bespoke selection of chamber size, pump type and controls to meet your specific site requirements. All units are custom built to your site requirements. A wide range of options are available for you to simplify your product selection. NOTE: Max capacity in litres (L) below highest inlet. Special requirements such as explosion proof, high temperature, etc. Please contact Edincare Sales on 01442 211554 from 8.30am – 5.30pm, Monday to Friday or via email sales@edincare.com for further information.